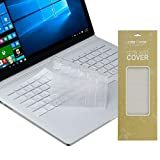 We have been lucky to find the best Surface Book accessories that you will need for improving your productivity and comfortability. The new release, Microsoft Surface Book is the Microsoft’s first laptop that features a convertible or 2-in-1 device. The Microsoft Surface Book has full function PC on the top of the device allows you to use it as a tablet or clipboard form factor. On the bottom of the device, there are a perfect keyboard and a large glass touchpad, that brings you a perfect laptop experience. It also includes large batteries and optional discrete graphics for handling your graphics-intensive tasks. To make your Surface Book as a workstation or become even more powerful and efficient, we would like you to check out the following accessories. Transform your Surface Book into a desktop PC. 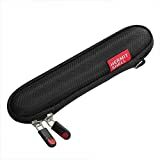 Compatible with Surface Pro 3, Surface Pro 4, Surface Book, new Surface Pro 2017, and Surface Laptop. Microsoft has decided to change the form factor of the new Surface Dock by replacing the mounting stand of the old design with a new small brick design. It can transform not only your Surface Book but also Surface Pro 3 and Surface Pro 4 into a full desktop PC using a single cable. The new Surface Dock comes with four high-speed USB 3.0 ports, a gigabit Ethernet port, an audio output, a power port and two Mini DisplayPorts which claims that it can support two 4K displays. Use your MicroSD card with Surface Book. Compatible with Surface Book and Surface Book with Performance Base. 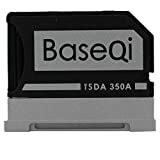 This BASEQI Aluminum MicroSD Adapter is made specifically for the Microsoft Surface Book. This adapter allows you to use any microSD card with your Surface Book. It has the same color and aluminum designed just as your Surface Book. With this adapter, you can add up to 200GB of extra space to your Surface Book. While it is completely fit to the card slot without sticking out. Available from 8GB to 256GB. Class 10 / UHS-I, speed up to 95 MB/s. Waterproof, temperature proof, shockproof, and X-ray proof. By inserting an extra MicroSD, you can expand more storage of your Surface Book or you can it for data backup. Surface works with standard microSD card formats including microSD, microSDHC, and microSDXC. This Sandisk MicroSD features a class 10 speed rating as it can support faster data transfer speed up to 90MB/s great for playing 4K videos. This Sandisk MicroSD has a great protection with waterproof, temperature proof, shockproof, X-ray proof and magnet proof. It will add an extra 200 GB of storage to your Surface. Microsoft’s Arc Touch Mouse Surface Edition is a perfect companion for your Surface Book. It features the same matte black designs and a flat design best for portability. This mouse using Bluetooth 4.0 wireless connectivity that will work seamlessly with your Surface Book. It uses BlueTrack technology that will almost work with any surface. It has a unique touch strip that responds precisely to the speed of your finger movement. Best case for Surface Book. Will not fit Surface book with performance base. The UAG Feather-Light Composite Surface Book Case features an extreme protection for your Surface Book from serious drops and scratches. It has built-in Surface Pen storage allows you to secure your pen while you on your work site. This case has a dual lock for securing your Surface Book when you close the screen. 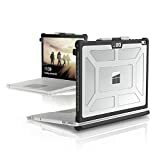 This case does not block any ports and buttons, so you don’t need to detach the case when you need to connect devices to your Surface Book ports. Using only a USB and HDMI port. 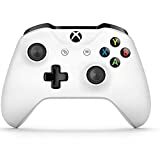 Can be connected with micro USB cable, Xbox wireless adapter, or Bluetooth. Do you want to play games on your Surface Book? The Surface Book has enough power to play major games including Minecraft, DOTA 2, Counter-Strike, GTA 5 and so on. If you have a Surface Book with Discrete Graphics you can even play graphics intense games like Tomb Riders, God of Wars and many others. The new Surface Pen for Surface Book has major improvements including more pressure sensitivity (1024) and replaceable pen tip. The default pen tip that came along with the Surface Book is an HB pen tip. The Surface Book is a powerful laptop which is greatly used for enterprise or corporate users. However, one thing is missing for those users is an ethernet port. They might also need some extra USB ports on the go for connecting to their workspace devices. 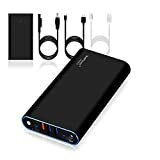 Here is what they need to overcome this problem, a portable USB hub with an Ethernet port. Support Active Mini DisplayPort and Thunderbolt™ 2 port. Claimed to work with Surface Dock. Compliant with DisplayPort 1.2a, HDMI 2.0 and HDCP. 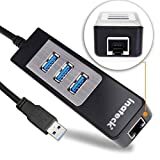 You will need an adapter when you want to connect to an external display at home or at school. 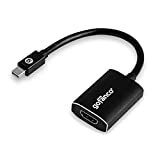 We recommend the GOFANCO Active Gold Plated Mini DisplayPort to HDMI Convert adapter for connecting to HDMI display. 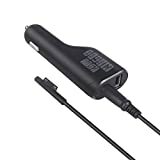 This active adapter is also recommended by Microsoft Surface team. This active adapter is designed to compatible with Microsoft Surface Dock. It has been tested to support resolution up to 1080p @60Hz or 4K (3840×2160) @60Hz. This active adapter also allows 7.1 surround audio pass-thru to the HDMI output. It compatible with all Surface Pro series, Surface 3, Surface Book, other ultrabooks and laptops with a Mini DisplayPort output. Those are the best accessories for Microsoft Surface Book so far. With Surface Dock, Surface Mouse, and microSDHC card will significantly increase your Surface Book performance, storage, and productivity. While case and screen protector will keep your Surface device last longer and still beautiful when you need it. 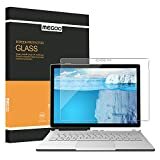 Beside those accessories, we also listed down the wide range of best accessories you can browse and buy for using with your Surface Book with ease. 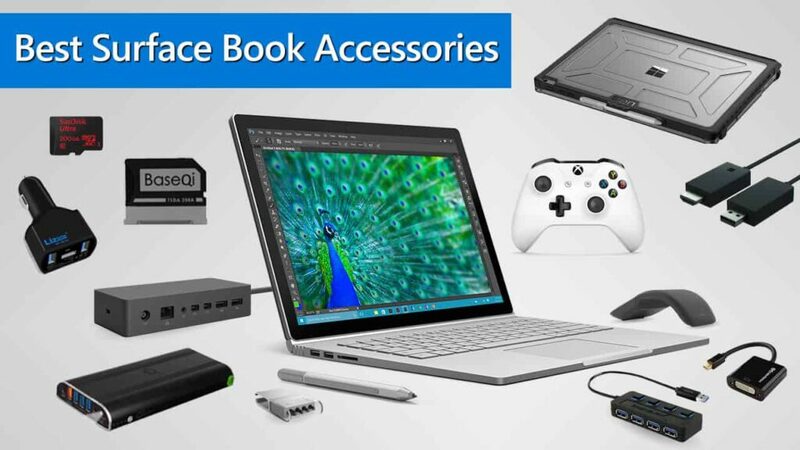 Note Updated March 2018: We have updated this accessories collection make sure that you will get only the best and latest accessories for your Surface Book. We appreciate hearing your thoughts, questions, and ideas about “Best Microsoft Surface Book Accessories for 2019”. Please post respectful comments and on topic. We will be replying back to you as soon as possible. 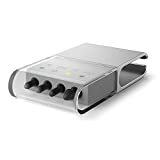 Share your idea about "Best Microsoft Surface Book Accessories for 2019".